Universidad EAFIT is a private Colombian university located in Medellin, Bogota, Pereira and Llanogrande Rionegro. It is characterized by the recognition of the Colombian Ministry of Education and their integration of a natural environment on its campuses. An amazing opportunity to discover the beautiful Colombian culture while being enrolled at one of the top universities the country has to offer. EAFIT University has received the Ministry of National Education’s Institutional High Quality accreditation twice in a row, which means that it is the first Colombian University to earn this recognition. On the LatAm University ranking is EAFIT University climbing the ladder from #94 in 2012 to #71 in 2018. The criteria best performed on are employee reputation, academic reputation and web impact. EAFIT university is the most prestigious private university in Medellin and is considered one of the top universities in Colombia by QS Ranking and MIDE. Next to the main campus in Medellín, there are additional campuses in Bogotá, Pereira and Llanogrande Rionegro. The campus is seamlessly integrated into the natural environment and walking around from class to class is a pleasant experience. 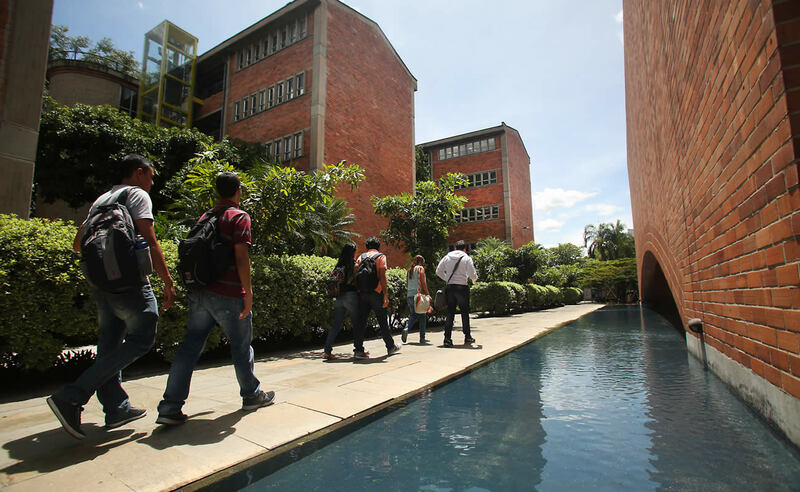 In Medellín, the campus is located in La Aguacatala neighborhood and is equipped with classrooms, offices, laboratories and other facilities for teaching, research and cultural activities. The campus almost covers 130.000 square meter and is designed with green spaces to make it a great place for people to meet and spend time together. A broad spectrum of facilities are provided to the national and international students to enhance the learning experience. It includes more than 40 different laboratories, a television studio, a media lab, a law hearing room, financial laboratory and many others. All classrooms are technologically equipped and wireless internet connection is available throughout the EAFIT University campus. Are you a sports lover? EAFIT University campus facilitates different possibilities to release the beast inside you with a Vivo Physical Conditioning Center, an artificial turf soccer field, a semi-Olympic-sized swimming pool, an indoor court and many more. This is all located throughout the university alongside the different flora and fauna that is remarkably integrated into the vision of the university. For students to overcome any obstacles that may influence their success, the Student Development Department has been established. This enables the student to reflect on their decisions and ask for support if needed. All to help you become the best version of yourself. Are you up for joining a student group then the possibilities are endless. Improve your leadership skills or share your interests with others in an ideological, political, artistic or sports group. All to improve your experience at EAFIT University. As an international student in Colombia there is a lot more to discover than the studybooks. The second most biodiverse country in the world is the right place to take a weekend off and visit one of the beautiful forests or lovely cities. Colombia is very cheap compared to Europe so you will be very lucky to spend your valuable euro’s there. Bogotá or Medellín are booming cities that basically never go to sleep. Enjoy the authentic city centers and get to meet new locals at the historical bars. EAFIT currently consists of six different schools: Management, Engineering, Law, Humanities, Economics and Finance, and Sciences. The academic departments that make up those schools offer 21 undergraduate, 60 graduate certificate, 34 master’s degree, and 5 doctorate programs. There is an extensive list of courses taught in Spanish and English of which courses can be selected from. If you would like to take courses taught in Spanish you will be required to have a certificate of Spanish proficiency and for English courses a minimum of A2 is required. EAFIT University does currently not have any student residencies and recommends two alternatives; room with a Colombian family or rent an apartment or loft, shared or individually. The monthly cost can range between 350 USD and 600 USD, including a management fee, use of kitchen, laundry service and internet access. It is recommendable to stay in a hotel or hostel the first days after your arrival while you discover alternatives that suit your needs. Tellanto has a close relationship with a company in Medellín that provides safe and comfortable housing for national and international students. They are specifically designed for students with an outdoor area perfect for BBQs, only an 8 minutes walk away from EAFIT University and with a reliable and English speaking landlord. You have the option to have a small or large room with or without an own bathroom. The cheapest option is a room without a bathroom that costs around €225 and the most expensive is a large room with bathroom which costs around €338. Have a look at the rooms yourself and get a 10% monthly discount! The quality of the curriculum of National University of San Marcos along with Lima’s vibrant atmosphere makes for a wonderful study abroad experience. Read more about the courses, student accommodation, campus and more. Pontificia Universidad Católica del Perú, also known as PUCP, is the oldest private university of Peru and is ranked as the best university in the country. While enjoying the quality of this university, as a student you can also enjoy sightseeing the famous and spectacular Andes and Machu Picchu. 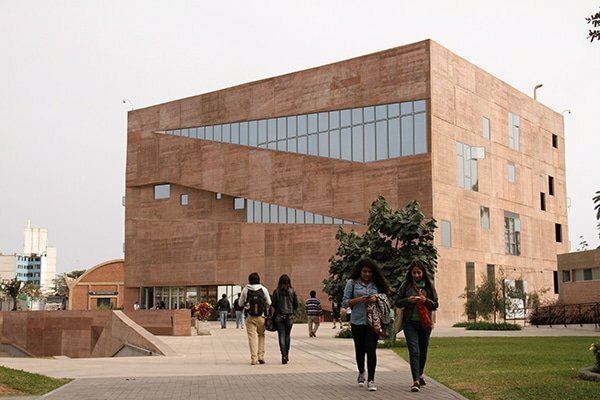 The universities in Lima offer a great range of diverse programs and provide a holistic learning environment for the students. Here are the top 5. What Is The Definition of Studying Abroad? You hear it so often; I’m going to study abroad. But what does it actually mean and why the heck would you study abroad? Let’s go over the advantages of leaving home for a semester abroad. What is a Semester Exchange for International Students Like in Puebla? In this article, we give you an insight of what it is like to study in Puebla and what you can expect from a semester exchange program in this city. Puebla provides an exciting and rewarding experience for the international students who come here for a study abroad program. Here is a list of the best universities in Puebla Mexico. Going abroad for studying exposes you to a new way of thinking and living life. Here are 5 reasons why you should choose Colombia to study abroad. How to Write Your Study Abroad Essay? Studying abroad is the beginning of a new and potentially life-changing journey. By delivering a good and impactful essay, you get an edge over your contemporaries and ensure that you get selected for the study abroad program of your university. Medellin has come a long way in shedding its infamous image. It has been able to get past the tough times and flourish. You should know the best university in Medellin for international students before you decide to enroll yourself. Finding the best place to study abroad is no joke. In this article, we will go over the different cities and countries that could be your best place to study abroad. If you’re considering to study abroad, it could be very hard to find the perfect country for you. I mean, there are so many countries to choose from, right? Let’s look at how you find out where to study abroad. Hey Emmanuel, if you are looking for an internship then you should look at https://www.tellanto.com/internships. If you click on one of the companies you will see a red button ‘Apply’. This will send your application to the company and they will get in contact with you. This is completely free, you never pay for an internship.